In May 2014 Britain's Planning Resource organisation reported that according to Office for National Statistics (ONS) projections of the future population of English regions, all regions of England will see population growth over the next decade to varying degrees. 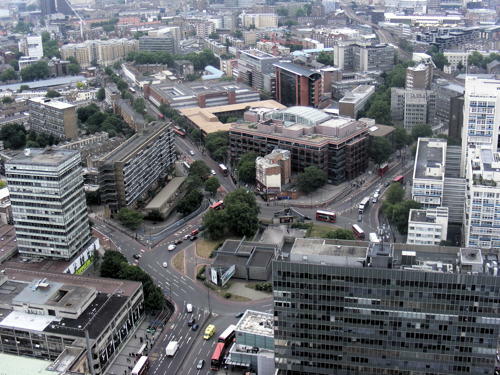 London is projected to grow the fastest, increasing by 13 per cent over the 10 year period, the figures show. That would amount to almost one million new residents by 2020. It's all too common to find tube stations crowded with residents and visitors, only to watch carriage after carriage pass by completely full of passengers. I was in the Knightsbridge tube station recently and finally just gave up waiting for a carriage that was not completely packed with people! Rewind to May 2010 when the Mayor's Transport Strategy was made public, setting the agenda for a plan over a 20-year period to help control traffic congestion. Plans include 'building more road tunnels to free up space above ground for cycle lanes, green spaces and new developments, as well as revitalising high streets across the city." "Our plans will not only make the area safer for cyclists and pedestrians, they will also transform it into a great new place where people can come together to meet and socialize. The changes will support the wider regeneration of Elephant & Castle, which is driving the creation of 5,000 new jobs, 4,000 new homes, a new shopping centre and a new Tube station for the Northern line." As of January 2015, new rate increases by London Transport came into effect. The increase was justified in a statement: 'On average, fares have increased by 2.5%. This helps protect current levels of reinvestment in the transport network, delivering greater capacity and more reliable services. Bus and Tram services increased by 2.3% and DLR and Underground services by 10p to 75p depending on the time, day and zone in which you are travelling. So how does this impact housing ? A survey published in August 2014 by Nationwide building society showed that homebuyers were inclined to buy residences that had easy access to public transportation. Robert Gardner, Chief Economist with Nationwide said, "We examined how the proximity to a tube or railway station impacted property prices in Greater London after taking account of other property characteristics, such as property type, size and local neighbourhood type." "Our research illustrates that people are willing to pay a significant premium to be close to a station, and suggests that this premium has increased relative to two years ago when we last explored the issue." "A property located 500m from a station attracts a 10.5% price premium (approximately £42,000 on a typical London home) over an otherwise identical property 1,500m from a station. This price premium has increased since our last research in 2012, where the data suggested a 9.1% premium." "As you would expect, the premium that buyers are willing to pay increases as you move closer to a station. A property located 1,000m from a station commands a 4.9% premium, whilst at 750m this increases to 7.6% and 10.5% for a home 500m from a station." 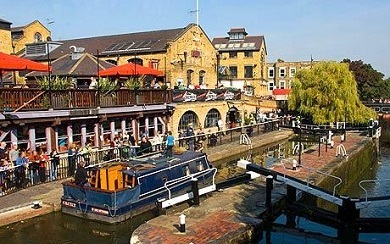 "Excluding the City of London, Camden is the borough best served by the tube and rail network, with 85% of properties within 500m of a station. Whilst Camden has always benefited from a high density of tube stations, it has also recently seen improved rail services thanks to London Overground. 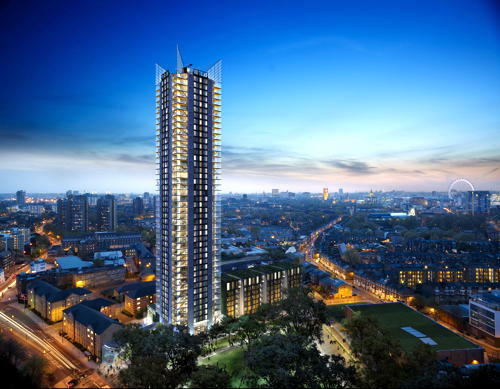 However, it is also one of the most expensive areas of the capital, with average prices currently around £843,000." The Circle Line was reported to be serving the most expensive area where housing prices average £800,000 and Metropolitan Line servicing the least expensive area. The survey also included Glasgow and Manchester with somewhat different results. Mr Gardner said, "We have conducted similar research for Manchester and Glasgow, looking at the impact of rail links on local property prices. London homebuyers appear willing to pay a far greater premium for being close to a station compared with those in Greater Manchester and Glasgow". Another greater London public transport development is set to improve transportation links to Gatwick Airport. A new train station has been granted £120.5M from the Government for the construction funding. The terms for this agreement for development were signed by both Gatwick Airport and the Government, with the airport providing £30M and Network Rail an additional£30M. Guy Stephenson, Gatwick's Chief Commercial Officer said: "This agreement is a great example of the private sector and government working together in partnership to deliver a game-changing and affordable project for the future. This new station builds on the ongoing transformation of Gatwick Airport and will deliver a first-class gateway for visitors, air passengers and the 1 million rail commuters who use Gatwick station every year." The transformation and upgrades are to include a doubling of the station's concourse current size, additional escalators and lifts to improve access to rail platforms and better information systems to aid passengers. Passenger traffic is expected to increase to five million by 2025 with completion of the new concourse expected by 2020. A report released on 1 December 2014 outlines a new five year initiative that is being put in place for improving the nation's roads. In the report, Patrick McLoughlin, Secretary of State for Transport acknowledges, "Our Strategic Road Network (SRN or the network) has suffered from insufficient and inconsistent investment, and is currently unable to meet the social, economic and environmental aspirations we have as a nation. As we look to the future, the steady increase in population, the need to drive economic growth, the development of new technology and the availability of smart infrastructure will all serve to change what we need from our strategic roads." Enabling construction and creating jobs, with almost £5 billion invested in 50 schemes that will help connect housing sites, enterprise zones and other industrial developments. 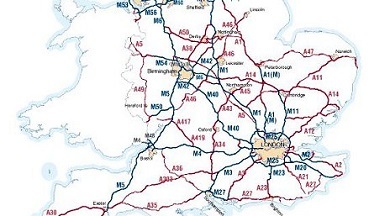 These changes also include the transformation of the Highways Agency into Highways England, a Government-owned company, starting April 2015. Graham Dalton, Highways Agency Chief Executive said: "This is another important milestone for England's motorways and major A roads. "Our Strategic Business Plan makes it clear that in order to deliver investment of this scale we need to work smarter, build strong relationships and provide a really good service for our customers. This will allow us to provide a network that offers better journeys on better roads enabling growth across the country."